► Grammage range: 200g, 230g, 250g, 300g, 350g, 400g, 450g, etc. ► Size availale: sheet & roll both are available. 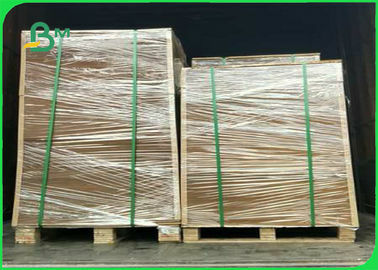 70 x 100cm, 78.7 x 109.2cm, 64 x 90cm, etc. 70cm, 100cm, 110cm, etc. 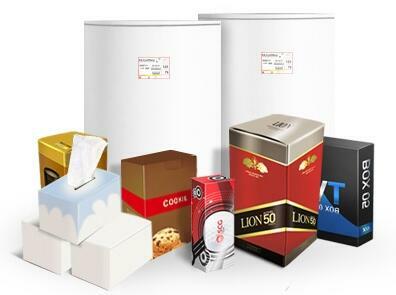 Different kinds of packaging box, such as gift box, food stuff indirect contact box, shoe box, courier bags, etc. ♦ Delivery time: 10 - 15 working days after payment received. ♦ Payment terms: T/T, Western Union, Credit card, etc. 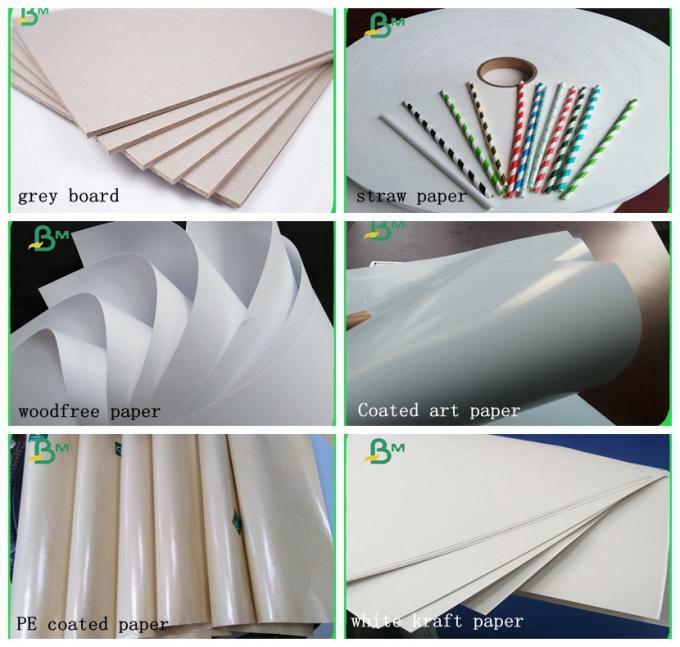 ♦ Sample: A4 size sample is free, large sheet or roll, pls contact the sales for more information. 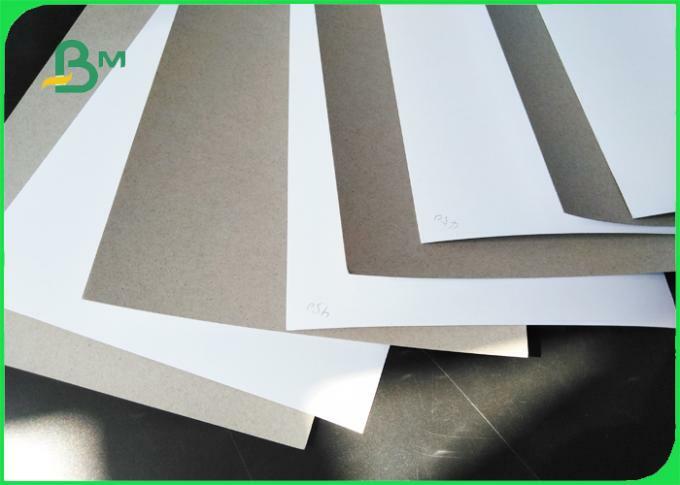 Either sheet size or roll width, both put on pallet with several layers of film wrapped to proof water and moisure and also 1 layer of waterproof kraft paper. Baled on wooden with strip, strong and safe, it's export standard packaging. 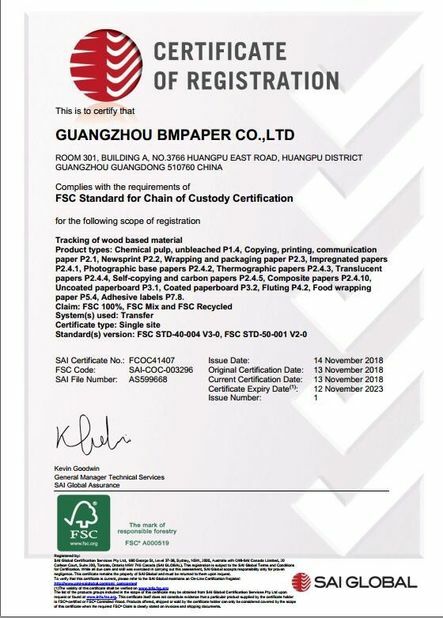 Guangzhou Bmpaper Co., Ltd is one of leading paper and paperboard manufacturer. 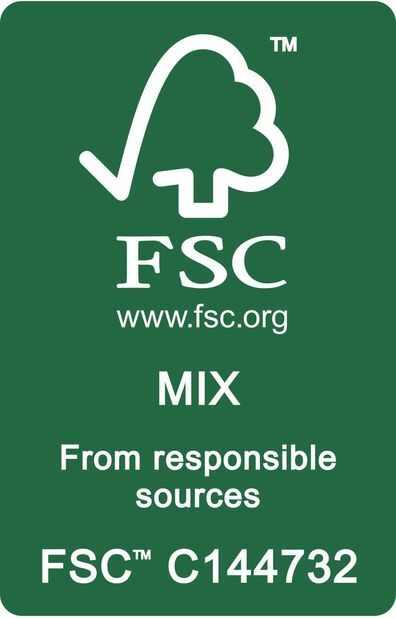 We was founded in 2005, is a young and dynamic company located in Guangzhou City, China. In our Guangzhou Office 6 professional members in sales term, 7*24 hours service, prompt reply and professional service. 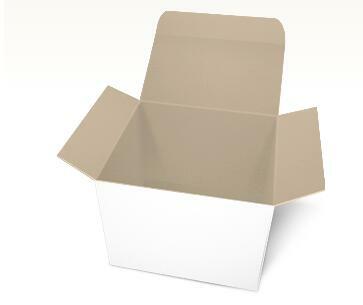 We always quote Competitive price, good quality and timely deliver.